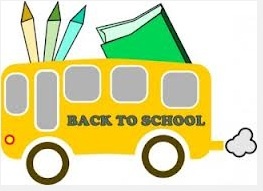 The 2019 School Supply Drive … here we go again! Once again T&E Care is organizing a School Supply Drive to help area kids whose families struggle to buy the required supplies. Just like last year, we expect to be supporting over 200 local kids.That’s a lot of pencils and notebooks! We will be looking for help with the supplies and gift cards for each of the students we have on our lists. For the gift cards – if we offer a minimum of $25/child that means over $5000 in gift cards. These cards are used to help kids get some extra things like new shoes, new underclothes or socks, new shirts or jeans, etc. Sometimes it’s all about making sure they have money for healthy recess snacks. This program allows the community to help our local kids feel good about the start of the new school year. Again this year FLITE will be helping us to fund the book bags needed for the students, so those will not be on the lists. We’ll be looking for specific supplies as requested by the TESD staff. You can help out by sponsoring a student(s), getting bulk items, or donating cash or gift cards. Collections will run throughout much of July. The exact dates will be coming soon. Our website will be listing the specific items needed. SIGN-UP GENIUS: Again this year we are using Sign Up Genius to determine what supplies are needed, so you will not need to check with us before you go shopping! We will post the specific student sponsor lists and bulk needs, so your offers will be immediately reflected on that site. You will be able to see what’s available in real time, decide what you want to offer, and head to the stores. BULK SUPPLIES: There will also be a short list of bulk supplies on the Sign-Up Genius that you may donate to the drive. You can purchase all of one (or more) items, or just a small handful or anything in between. GIFT CARDS: If you get gift cards (see below for more details on these) along with supplies – you can just include them with the supplies for drop-off. Be sure to note this on the donation check-list so we know to dig them out of the bag (we give them separately to the parents). And do put them IN the bag, as the drop-off locations are public places. We just want to be sure they aren’t too obvious. DONATION CHECK-LIST: Please fill out the T&E Care DONATION CHECK-LIST (download from this page) and include it with your donations to help us make record keeping and thank you notes easier. We need one DONATION CHECK-LIST from each donor. DROP OFF LOCATIONS: Public drop-off sites are still TBD. Please drop items off ONLY when these places are open. If neither of these locations work for you – let us know. QUESTIONS: If you have any questions, please contact us at schoolsupplies@tecare.org. Hate To Shop? Gift Cards Are VERY Helpful, Too! Don’t forget that we always appreciate general donations to help supplement our school supply requests (see below for link), and/or gift cards to general local stores so we can offer families the chance to get some clothes for their kids to start the year (how about new underwear or socks! ), or so the kids can go to school having eaten a good breakfast. Gift cards should be mailed (along with the Donation Check List) to T&E Care, attn: School Supply Drive, PO Box 2111, Southeastern, PA 19399. If you aren’t comfortable mailing the cards – then send us an email and we’ll give you info about making a delivery. If you plan to send in gift cards, or if you have any questions, – please email schoolsupplies@tecare.org. It’s helpful for us to know to keep an eye out for them. If you aren’t sure where to go – prioritize Walmart or Target. Other popular stores for clothes and shoes include TJ Maxx, Primark, or Old Navy. Wegmans, Giant, Trader Joes, and Acme also work. $25 value per card are the preferred amount. No specialty stores, please. With over 200 kids – we’ll need over $5000 in gift cards ($25 value best). NOTE: IF YOU GET GIFT CARDS WITHOUT AN AMOUNT CLEARLY MARKED ON THE CARD, PLEASE TAKE A SHARPIE AND WRITE THE AMOUNT SOMEWHERE ON THE CARD. THAT SAVES US TONS OF TIME CALLING THE STORES TO FIGURE OUT THE AMOUNT. THANKS. IMPORTANT: If you are buying gift cards from Wegmans or Walmart in King of Prussia – they may NOT accept credit cards for payment. You often must use cash or debit cards. We were told that too much credit card fraud causes this requirement in these locations. REMEMBER: We need ALL gift cards prior to mid July (date TBD). Generic School Supply List – If you are sponsoring a student(s), please use this list when you go shopping. Our lists are a bit different from the main school lists. Donation Check-List 2018 – Please include this form with your donation (supplies, gift cards, etc) for this drive. It makes our record keeping much easier. Tax Donation Form – if you made a donation and need a tax donation form, then you can click here and use this along with your receipts. You should be getting a thanks note from a T&E Care volunteer once the event is over, but you may want this as well. For FINANCIAL DONATIONS: If you would like to help but don’t want to shop at all, cash donations can also be made. As a general guide, the approximate cost of school supplies for an elementary school student is $50, for a middle or high school student is $100. Of course, any amount will help us meet our goal. Donations can be made by check (made payable to T&E Care) or through PayPal (click the Donate button below). Many thanks for your support! For results of past School Supply Drive: SSD Archive Pages.